Welcome to Wenatchee Valley’s 4th annual Turkey On The Run Thanksgiving Day 5k Run/Walk and 12k Run, benefitting the Women’s Resource Center. 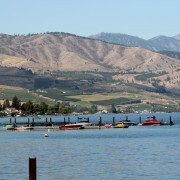 This years event will take place at 9 am on November 24th, 2011 at Rotary Park in Wenatchee, Washington. Bring your friends and family for this great community running event! Proceeds from this years event will go to support our Womens Resource Center, who provides Emergency and Transitional Housing, Support and Enrichment services to women, men, and their families in an environment which honors diversity, promotes education and self-esteem and encourages mutual respect in our community. We will once again be having a canned food drive to help support our Womens Resource Center, so bring a non perishable canned food donation(s) with you to the event. All food donation goes to the Resource Center community food bank, which will allow dozens of families in our region to have a happy holiday meal. Adult early entry fee is $25 for the 5k until November 23rd, then $30 day of registration. There will be day of race registration and Packet Pick up will be at Rotary Park starting at 7:30 am, November 24th. Kids 12 and under can participate in the 5k run/walk free with a paid adult. Day of registration only. There will be a kids (10 and under) turkey dash, approximately 1/2 mile, that is free! Adult early entry fee is $35 until November 23rd, then $40 day of registration. Race Course: Is open to traffic, on city streets and county roads, but it is well marked and their are two aid stations. One at the 5k turnaround and the other at the turnaround for the 12k. Post Race Raffle/Swag: Lots of great swag, courtesy of our generous sponsors, SET Coaching/Black Diamond Sports Physical Therapy!!! Happy training and see you on Thanksgiving Day for fitness and fun before the feast!